"We are very confident that this was not an attack master-minded by North Korea and that insiders were key to the implementation of one of the most devastating attacks in history," he told the news outlet. "Sony was not just hacked, this is a company that was essentially nuked from the inside,” Stammberger added. Little is known about Lena, but Norse believes the woman is somehow linked with the hacking group behind the attack, known as the 'Guardians of Peace.' The firm also suspects the woman was a former employee of Sony who worked there for 10 years before leaving in May 2014. "There are certainly North Korean fingerprints on this but when we run all those leads to ground they turn out to be decoys or red herrings," he said. 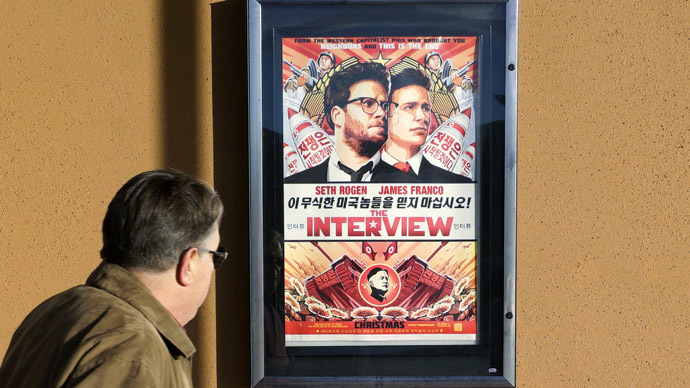 Other possibilities include the idea that North Korea “co-opted” the initial attack after an embarrassing glut of information was made public, using that as an opportunity to strike Sony, as it was reeling and facing pressure to cancel 'The Interview' movie. While Sony did cancel the premiere and release of 'The Interview' – a comedy which tells the story of a CIA plot to assassinate North Korean leader Kim Jong-un – it has since relented in the face of public criticism, which included harsh words from President Barack Obama. The movie is now available on streaming services and will be in theaters in limited release on Christmas Day. Regarding the film’s release, a North Korean envoy to the United Nations said the country will condemn the decision but will not have any “physical reaction.” He added that the movie is an "unpardonable mockery of our sovereignty and dignity of our supreme leader."